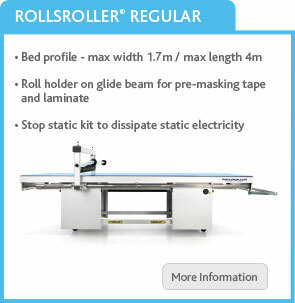 An innovative flatbed applicator, the ROLLSROLLER offers a simple and accurate way to apply self-adhesive vinyl, cut vinyl graphics, digital prints and application tapes to many different substrates. 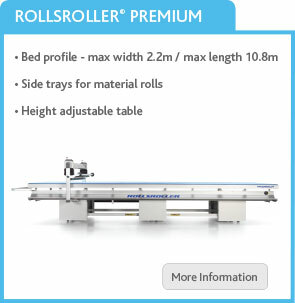 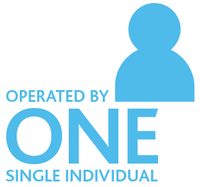 Available in four different variations, it is extremely versatile whilst offering a solution for all. 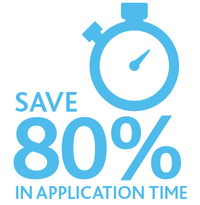 Traditional application methods can be time consuming and labour intensive. 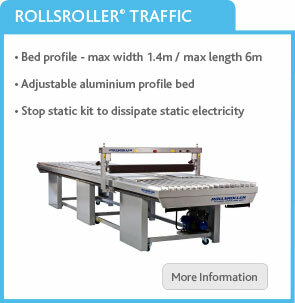 But, using a ROLLSROLLER improves productivity, with time savings of up to 80% in comparison to traditional application methods. 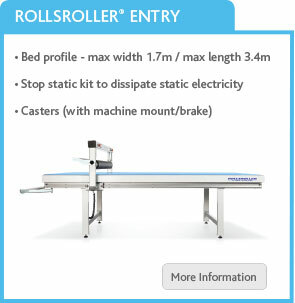 Quicker, easier and more efficient, the ROLLSROLLER can be operated by a single individual, thus reducing required man power.